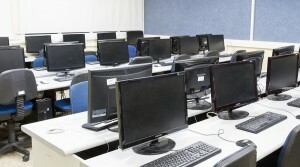 At ROF, we have top-quality computer workstation systems available for your business in or around the Orlando, Florida, area. We have 140,000-sqaure-feet of rotating inventory that’s continually filled with all types of workstations, cubicles, desks, seating, and more. So, whether you are looking to furnish a call center, advertising agency, law firm, doctor’s office, or any other type of business space, we’re sure to have just what you’re looking for. Plus, there will be no need to worry about the design layout of your computer workstation systems and the installation; we can take care of that for you. To inquire about the computer workstation systems that we currently have in stock and for any other questions regarding our products or services, contact ROF today. We proudly serve businesses in Orlando, FL.